With the finances all under control, that only leaves one question to be answered – which of these iconic SUVs will you choose to park on your driveway? Let’s put them side by side and take a look. The Evoque arrived to enormous fanfare in 2011, with one journalist memorably describing its looks as a combination of Imperial Stormtrooper and Exocet missile. Six years on, it remains one of the most distinctive and striking crossovers on the market. The recent facelift incorporates LED headlamps and a revised air intake, which make it look as special as ever. The X3 is all BMW, and has the distinctive good looks you would expect from the marque, but is less dramatic than the Evoque, and looks like a scaled down version of the X5, which is exactly what it is. BMW offer three diesel variants, at 2.0 litre, 3.0 litre and 3.5 litre. The first is by far the most popular, offering a great blend of power and economy, with a 0-62 time of 9.5 seconds, and 52 mpg. Moving across to the Evoque, we again have three choices, two diesels and a petrol. Again, the most popular is the TD4 2.0 litre diesel, offering almost identical performance figures. Both cars have an upmarket feel, which is no less than you would expect. The latest versions also come equipped with impressive infotainment systems to keep you informed and entertained on the move. Jump from one to the other, and you will probably feel that the BMW slightly edges it on luxury, but it is a close-run thing. So let’s hit the road. Anyone who has driven Land Rovers in the past will be amazed at how nimble the Evoque feels – it really is like being behind the wheel of a hatchback, just sitting higher up. The X3 drives well, but does not have the same feeling of stability. Some people actually use their SUVs off road, and if this is on your agenda, there is only one choice. 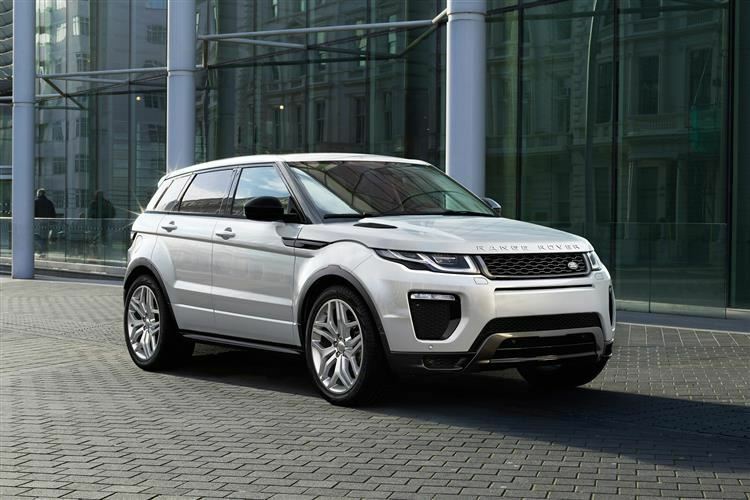 Land Rover have been doing this for the past 70 years, and the Evoque has all the off roading technology you will need.